Alfred House on the beach. 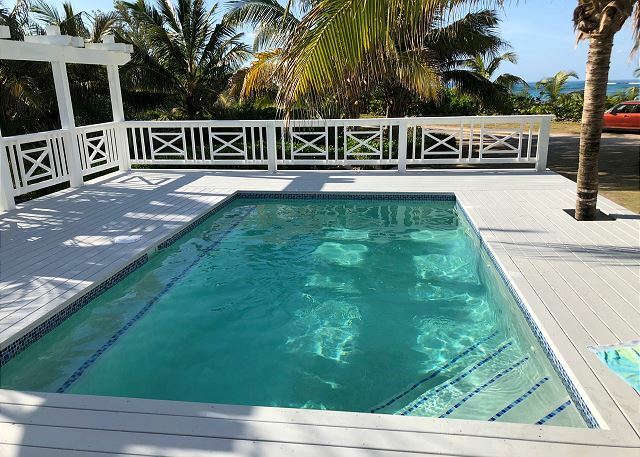 Welcome to Alfred House, a new, luxurious, and secluded beachfront estate with private pool on the north end of world-famous French Leave Beach (formerly Club Med Beach). 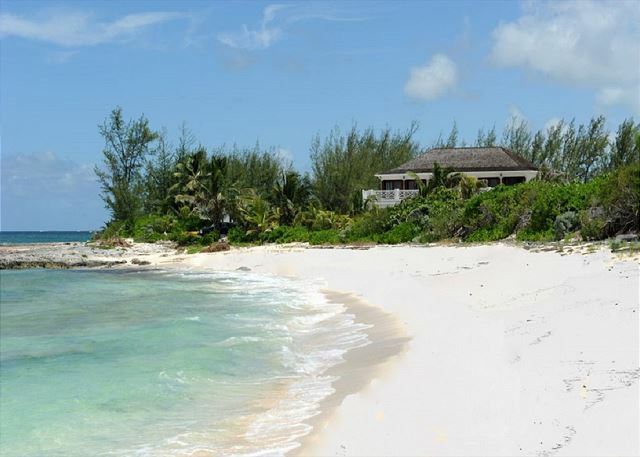 There are no houses between this house and the mile-long beach of pink sand where a Club Med once stood, the most sought-after beach location on Eleuthera. 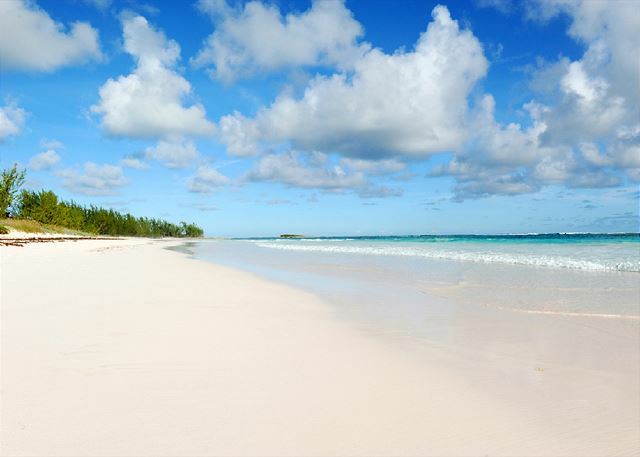 The ocean is turquoise, shallow, and historically safe, having served Club Med well for many years. Children love this shallow beach. 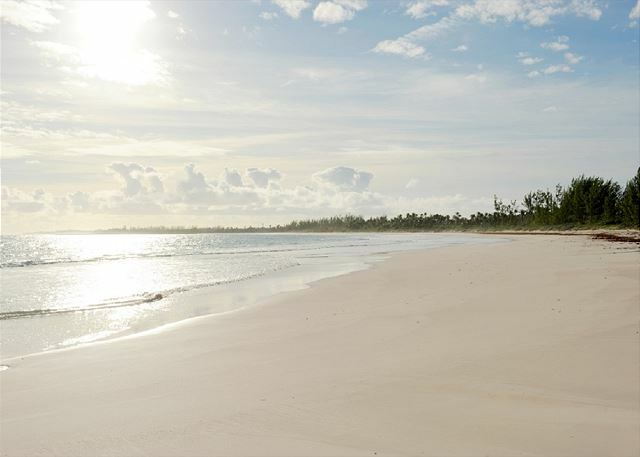 Enjoy thousands of feet of deserted beachfront, extensive ocean views from every major room, and the sound and smell of the ocean from everywhere. Alfred House is located just a mile from the main town, Governors Harbours, which has stores and some excellent restaurants. 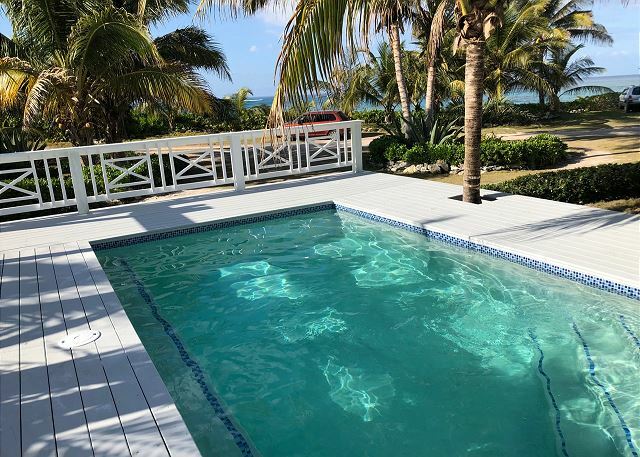 Alfred House is a 4000-square-foot, 5-bedroom Colonial style home plus one-bedroom guest cottage (800 square foot), located just 50 feet from the beach. 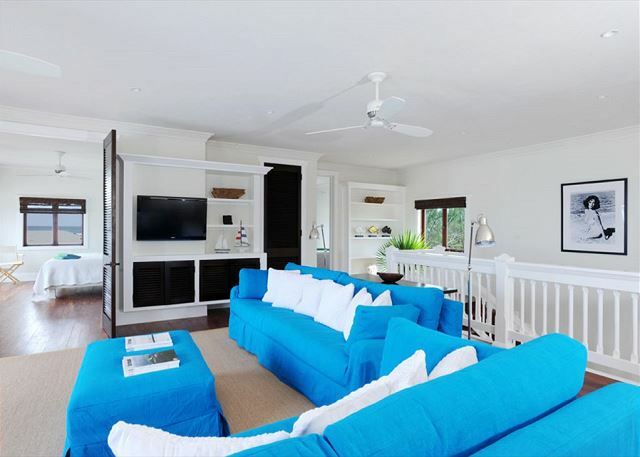 The house was designed and decorated to reflect the laid back feeling of the cabanas at the Bitter End Yacht Club, Virgin Gorda. Both the upstairs and downstairs of Alfred House have a wall of glass french windows, so as you move through the house, you see the sea at every turn. 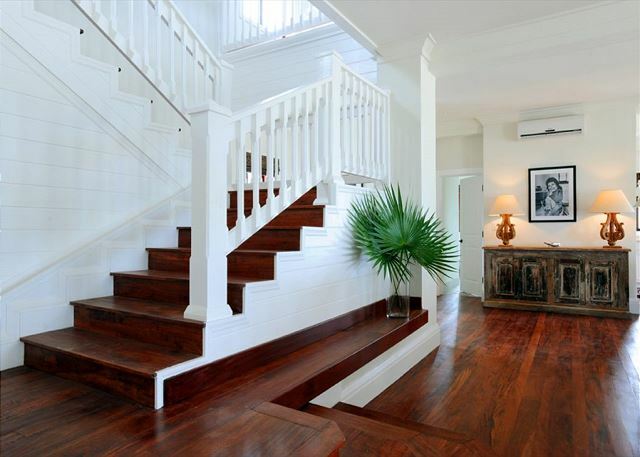 The house is furnished with distressed Indian teak antiques and custom pieces made of teak, mango, & cherry woods, and black and white photographs of movie icons. Downstairs, Alfred House features a vast great room that looks out through a wall of glass french doors at the beach and ocean. 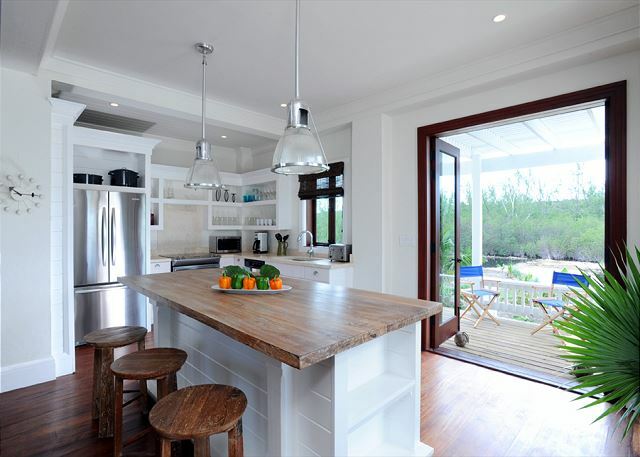 The open-plan kitchen faces the ocean, and features custom wooden white shelving with Mexican shell encrusted stone counter tops. Appliances are stainless steel. 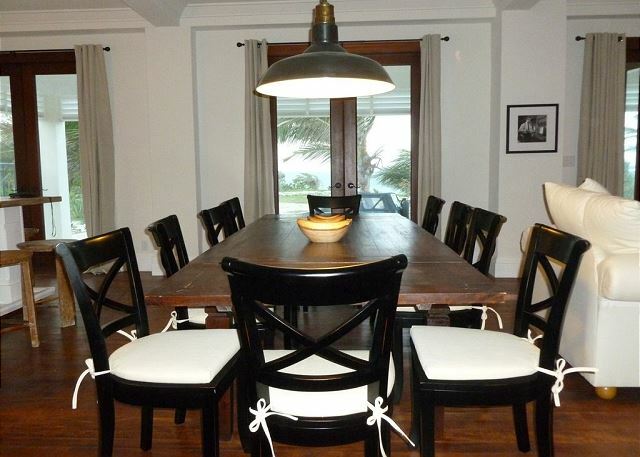 The kitchen island is capped with a ten-foot teak counter with matching teak bar stools. There are Honduran hardwood floors, cypress cedar ceilings, marble and slate tile, and mini-split air conditioning units. 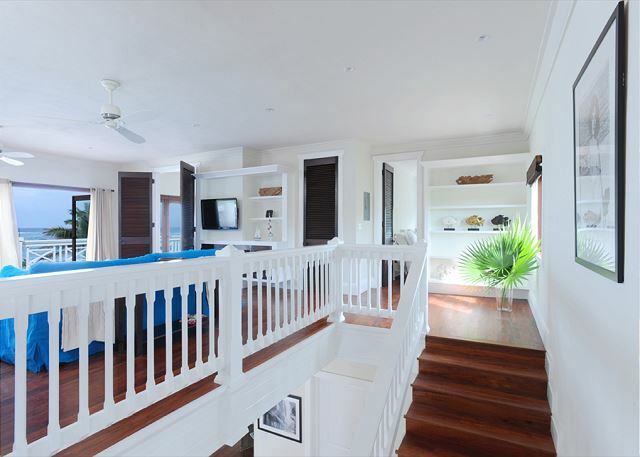 The upstairs features a huge media room overlooking the sea, along with four bedrooms, with a fifth bedroom downstairs. 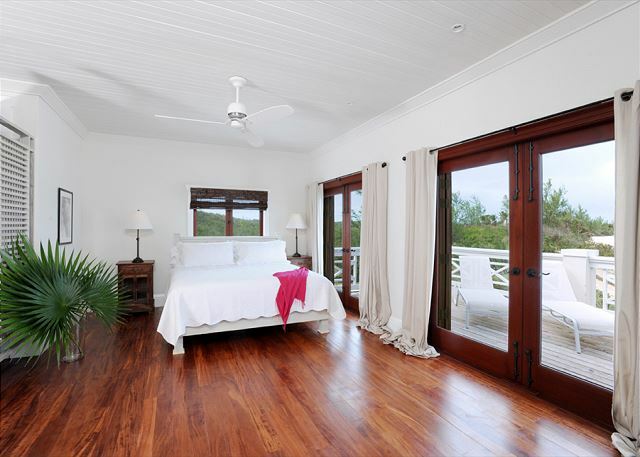 Four of the bedrooms have huge ocean views. The fifth has a hill/sunset view. Three large bedrooms have king beds; the two smaller bedrooms have two twin beds in each. 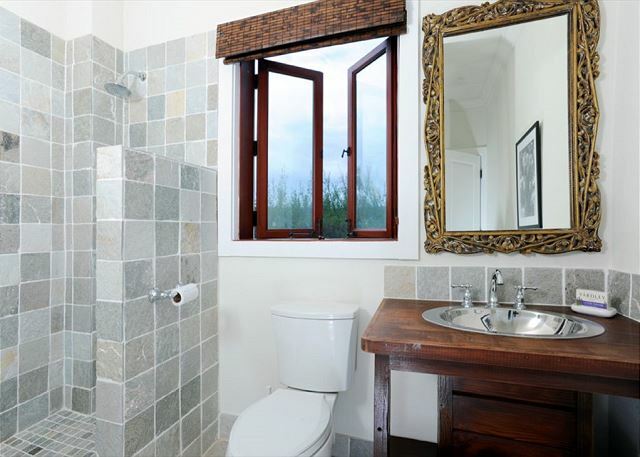 The three king suites have ensuite bathrooms. 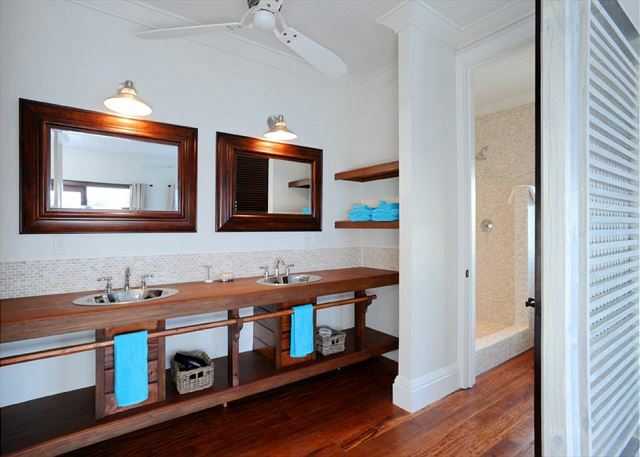 There is a powder/shower room downstairs. 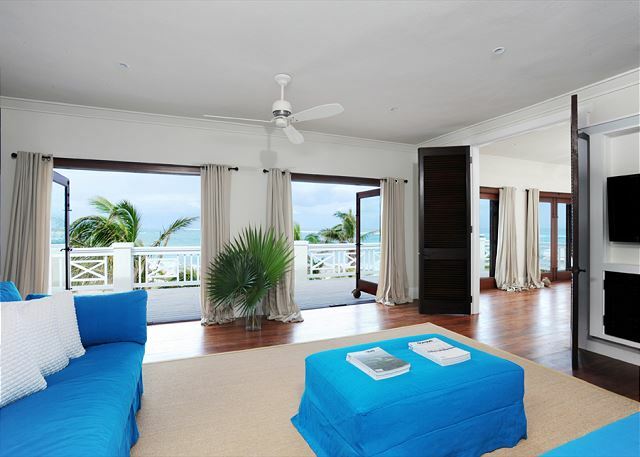 The media room upstairs is huge, another gathering spot, and faces the ocean and shows turquoise water through several french doors. 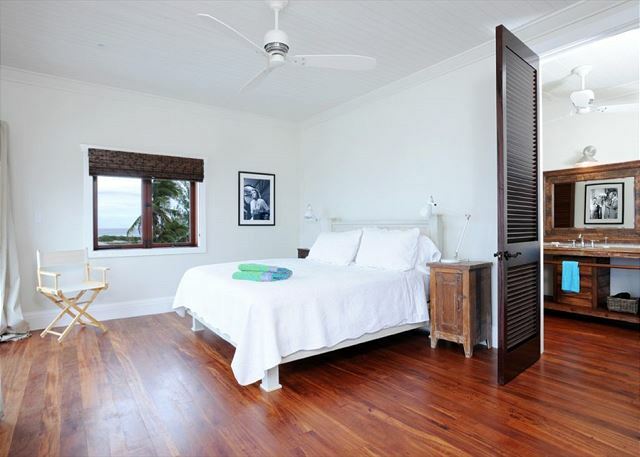 The upstairs sun deck, with its grand row of honduran mahogany shutters, runs the length of the house (60 ft), with miles of beach and ocean views. 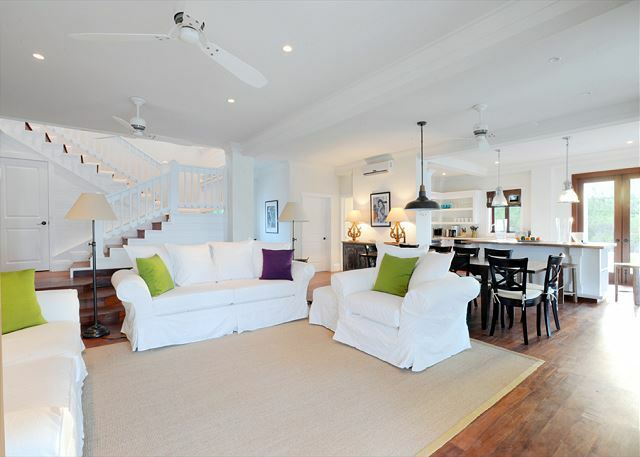 It is furnished with comfortable white lounge chairs. 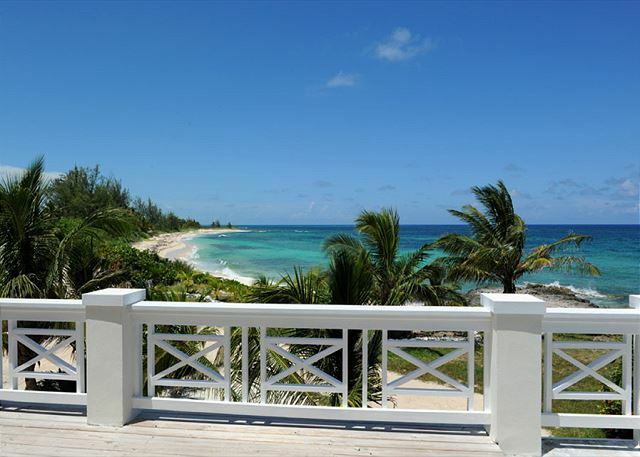 Beneath it is a covered terrace, a shady spot for enjoying the sea breeze and the sound of the ocean. The floor of the terrace contains a lovely mosaic of a conch made by a local island artist. Seating for drinks or coffee is available on the ground terrace, where you can see and hear the ocean. 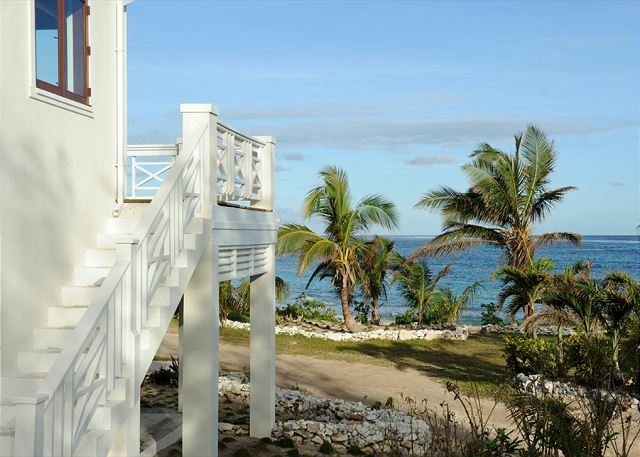 There is a one-bedroom beachfront house 50 yards from Alfred House that can be rented along with it for an additional charge, subject to availability. 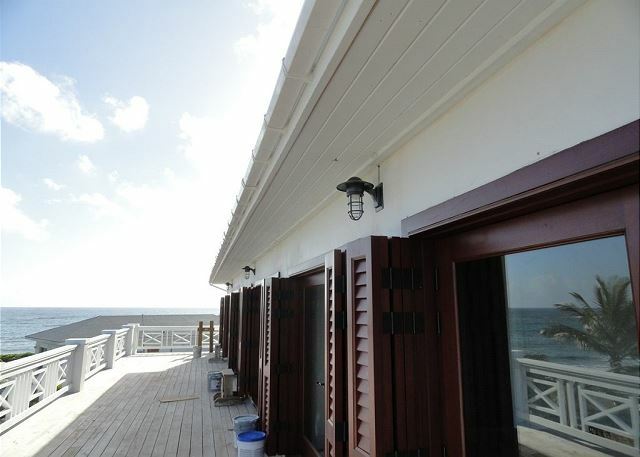 It has a huge 1100-square-foot teak wrap-around deck overlooking the sea. 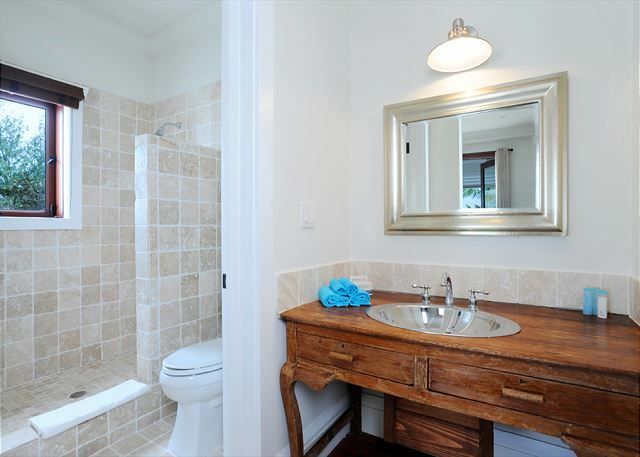 Inside, the house has 800 square feet, a large great room, full kitchen, separate bedroom, and a full bath. The living room has two day beds, so the cottage can sleep up to 4 guests. By including this cottage, Alfred can sleep 14 guests. Amenities at Alfred House include full AC, a large flat-screen TV with DVD in the media room, high-speed internet with WIFI. The house does not have cable or satellite TV. Light housekeeping of two hours is provided three times per week. 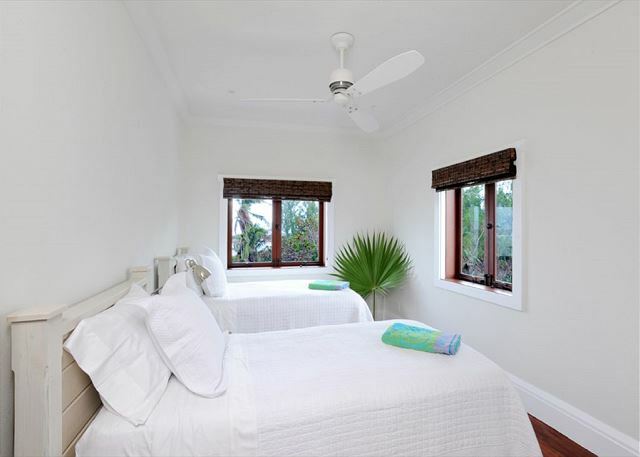 Alfred House is surrounded by over 20 acres of secluded wild nature, full of casuarina trees, coconut palms, giant cacti, sea grape and lettuce, even though we are only a mile or so from town. (See the aerial view). 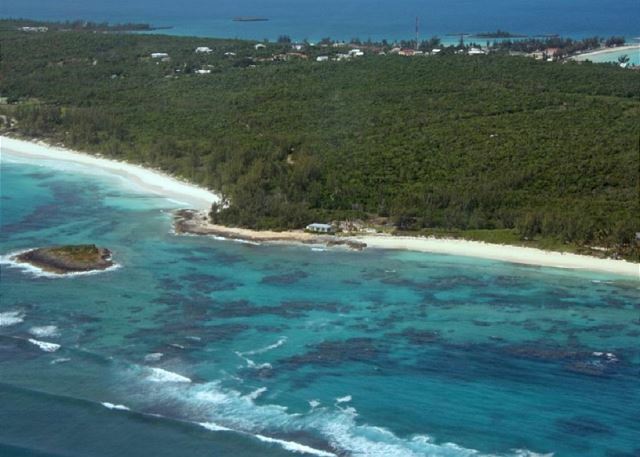 Explore French Leave Beach, and see the ruins of the old Club Med, which was swept away by a hurricane. The grounds and gardens of Alfred House have palms, palmettos, cacti, hibiscus, and oleander. 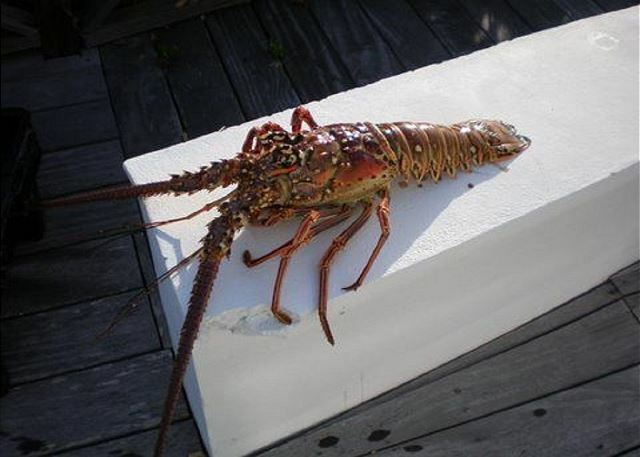 There is excellent snorkeling right off our property.